Light utility vehicles are ending up exceptionally well-known methods for autonomous transportation for short separations. Cost and contamination with petroleum and diesel are driving vehicle producers to create vehicles energized by elective energies. Designers are guiding their endeavors to make utilization of air as a vitality source to run the light utility vehicles. 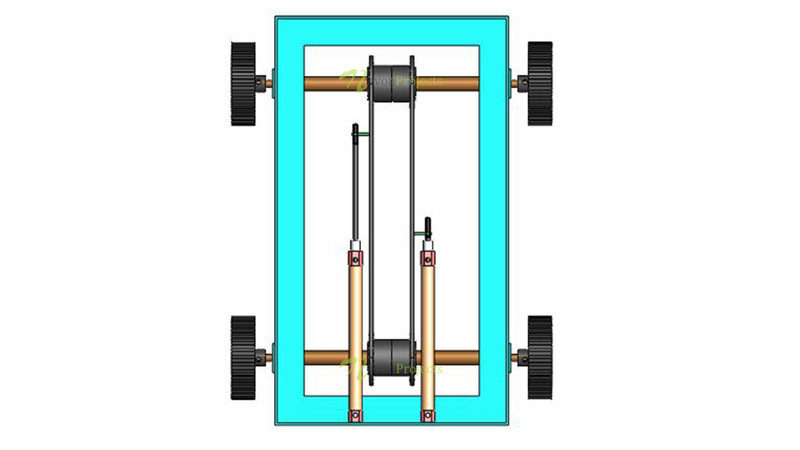 This air powered vehicle project, uses a pneumatic vehicle which consists of two pneumatic cylinders for continuous motion, with four free wheel sprockets and also a metallic chassis. This pneumatic car project is based on pneumatic power. It has two pneumatic cylinders which transforms linear motion into rotary motion. 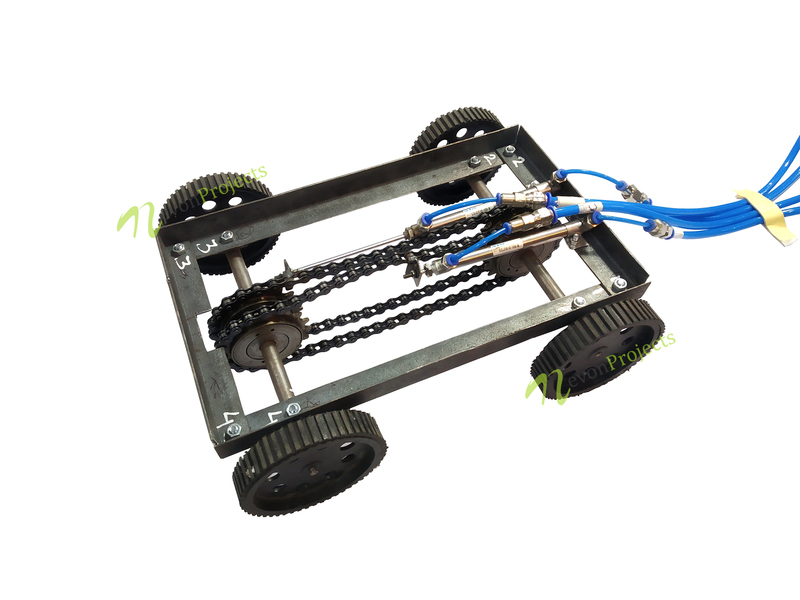 The vehicle consists of a chain drive which transmits mechanical power from one place to another. There is a point of interest in utilizing compacted air as a wellspring of vitality to run vehicles.